I was in New York a couple of weeks ago to see the Smithereens. Chris and I were sitting at a bar having cocktails before the show. 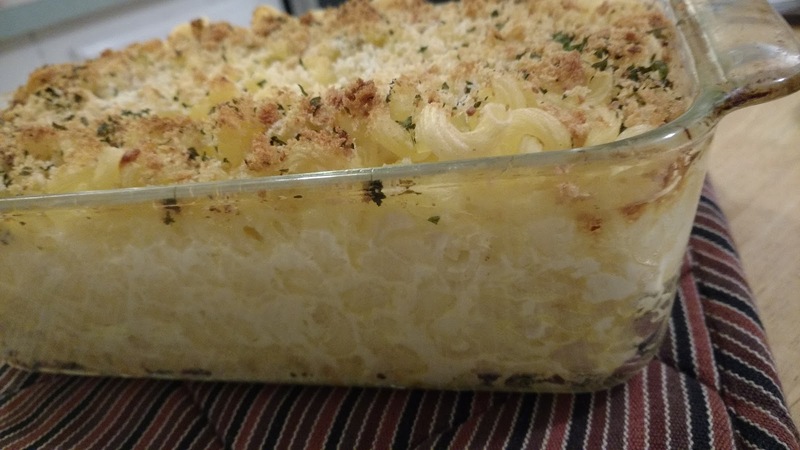 I get a text from a co-worker requesting my Mom's Baked Macaroni recipe. She looked on this blog and could not find the recipe. I looked and could not find the recipe! I ended up texting her the recipe. Grease Pyrex glass loaf dish. Cook 1/2 box of pasta elbows. In the baking dish put a layer of cooked pasta. Top with some American Cheese and then add more pasta. Continue layering until you end with a pasta layer. You should have 4 layers of pasta. Beat 2 eggs and pour over the pasta. Fill the baking dish with milk. Fill until the milk almost reaches the top of the dish. 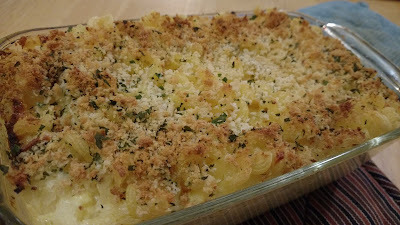 Sprinkle the top with breadcrumbs, parsley and Parmesan cheese. Bake for 45 to 60 minutes at 350 degrees. Cover the top with foil if it starts to burn. The cheese can be whatever you have in the house. Tonight I used American, Cheddar and Gouda cheeses. It was creamier than usual. 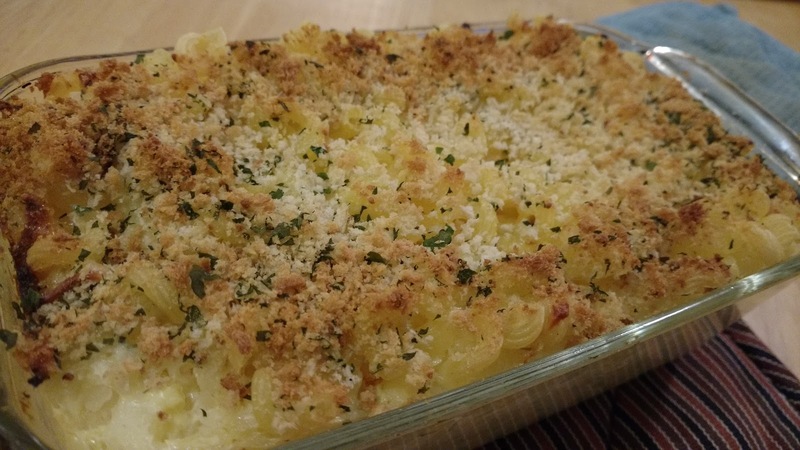 Delicious comfort food perfect for Lent.